He stomped into the arena howling and followed it with a wicked laughter which awakened the half asleep crowd who had come to take his blessings much before the break of dawn. With head gears, body paintings and decked up attire, the Theyyam performer danced, circumambulated the shrine, metamorphosed into the deity and blabbered as the audience watched his act with bated breath. I was in Kannur, widely referred as the cradle of Theyyam, the ritualistic art form where Gods possess the body of the Theyyam artists and bless the people. Not as popular as its neighbours, Wayanad and Kozhikode, Kannur has remained fairly unexplored except for the discerning travellers who love the cultural folklore such as Theyyam. Apart from Theyyam, Communism is the other shade of red that spans across the district. Kannur is the hub of Communism in Kerala and is home to many prominent leaders. Beyond the reds of Theyyam and Communism, tourism in Kannur is slowly waking up to the golden and blue hues of its unending beaches which adorn its coastal line. Kannur was once a part of Kolathunadu which comprised of Kasargod and surrounding regions a few centuries ago. Kolathiris, the rulers of Kolathunadu were also known as Chirakkal royal family, as they had their home at Chirakkal in Kannur. The Chirakkal palace is now been converted into Kerala Folklore Akademi and museum. This museum is a treasure trove for folklore lovers. It houses a wide range of displays and paraphernalia related to various art, ballads and dance forms of Kerala. The life size models and photographs is an excellent insight into the folklore history of Kerala. It also offers detailed learning and research on various art forms. The sprawling lotus pond in front of the old home of Chirakkal family is a gorgeous sight. Kalarivathukkal Bhagavathy temple, located nearby is the family temple of the royal family. Kannur was also home to Arakkal rulers, the only muslim ruling family in Kerala who even controlled Minicoy, an island in Lakshadweep. They had a matrilineal dynasty and were always headed by the senior most member irrespective of the gender. The male rulers were known as Ali Raja and female rulers were known as Arakkal Beebi. The Arakkal rulers were in good terms with the Portuguese and the Dutch when they arrived in the 15th century. Fort Angelo was built by the Portuguese after being granted permission from Arakkal dynasty. However, with the intrusion of British, Arakkal family lost its stronghold over the area and also had to surrender Angelo fort. The old office and durbar hall of the Arakkal family which was a part of Arakkal Kettu complex has now been converted into Arakkal museum. Managed by the Arakkal family and archaeological department, the museum has a wide display of artifacts, historical records, photographs of the Arakkal dynasty. Near to Arakkal museum lies the gorgeous Moideen Palli at Ayikkara. The colourful roof tiles are an example of beautiful craftsmanship. Built in 1507 CE by the Portuguese, St. Angelo fort is located on a cliff overlooking the Arabian sea along the Mapila bay. Built of laterite stone, the fort changed many hands from Portuguese to Dutch to Chirakkal family and finally the British over the years. The architectural influence and additions are quite evident across the fort. With a moat on one side and sea on other three sides, the fort with tall walls has canons, bastions, horse stables, offices, chapels and ammunition rooms. The view of numerous boats moored along the Mapila bay apart from many water birds is a beautiful sight. Cashew trees (introduced in Kerala by the Portuguese) adorn the insides of the fort. 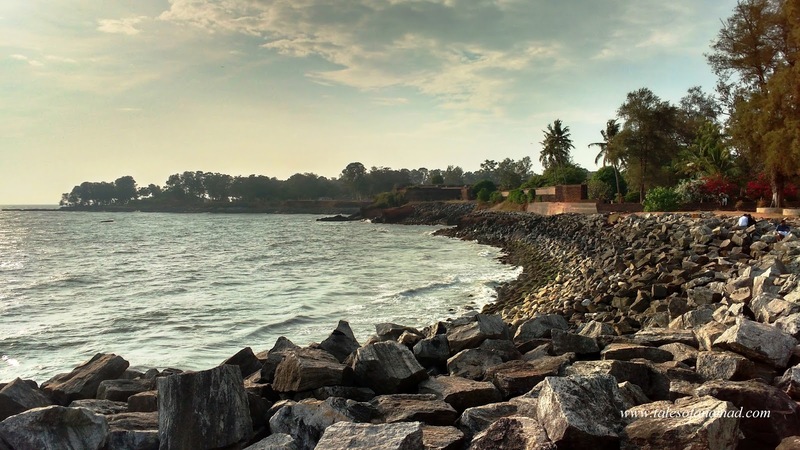 It is an ideal place to enjoy the sunset as the sea thrashes itself on to the ramparts of the fort walls. The cantonment area in Burnassery is known for its beautiful old houses, baby beach and the Kannur lighthouse. Adjoining the lighthouse is a museum which has a wide range of displays related to lighthouses and ships. The video on lighthouses across Kerala is quite an insightful one. The present light house was built in 1976 and is an active one. Apart from the beautiful sunsets over the Arabian sea, the light house tower also offers nice views of the swaying coconut trees and an aerial view of the sea view park. Payyambalam beach is probably the most popular beach in Kannur and lies near to the cantonment area. It has a children’s park at its entrance and offers camel and horse rides on the golden sands. Though it gets crowded sometimes, the evenings here are absolutely mesemerising as the sun spreads a gorgeous orange hue over the Arabian sea. 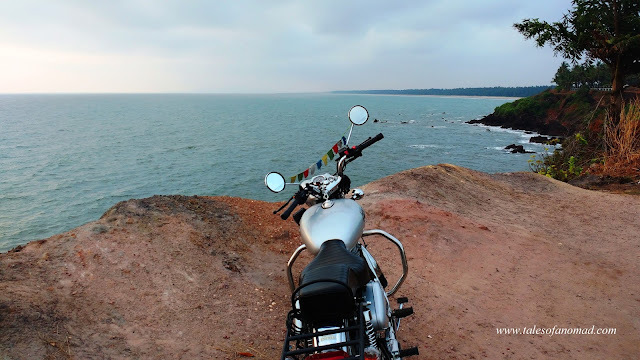 It is a nice short ride from Kannur to Madayi, known for its massive flat headed laterite hillock called Madayipara. The road goes past the vast Kuppam River and Pazhayangadi town to go up Madayipara. The expansive open land is known for its rich bio diversity apart from the popular Madayikaav temple, Madayipalli (mosque) and remnants of an old fort used by the Kolathiri rulers. Post the monsoon, Madayipara turns into a lovely carpet of green with a few rare species of plants and flowers blooming. Down the hill, Juma masjid at Muttom is a beautiful structure just before the bridge over Perumba River enroute Ettikulam beach. Located near Ezhimala and the Naval base, Ettikulam is a secluded beach with slanting coconut trees. Entry to this lovely beach is through a small coconut grove. From the road uphill that leads further to Ezhimala, a narrow road goes down through more coconut trees to the serene and unexplored Palakode beach. Do not be surprised if you find a few birds as the only other visitors here. Ezhimala has a nice winding road that leads up the hill which apart from the breathtaking vistas doesn’t offer much. However, the view of the Perumba River disgorging itself into the Arabian sea next to the Choottad beach is a gorgeous frame. Choottad, located in Pazhayangadi is a long stretch of sandy beach fringed with casuarinas and Ezhimala hill in the background. Located near the estuary of Perumba river, Choottad beach also has a children’s park and offers boating facilities on the backwaters of Perumba. The beach stretches for long and extends into the Puthiyangadi beach. A few kilometers before the bridge over the magnificent Valapattanam river, the road from Chirakkal leads east to Azhikode and Azhikkal. While Azhikkal is known for its old light house, Chaal beach is the big attraction in Azhikode. Chaal beach is a beautiful one lined with casuarinas and has been beautified recently with a park and other facilities. South of Chaal beach lies the popular Meenkunnu beach, the access to which goes through coconut groves and a narrow road which ends at a cliff. The vistas from the cliff are breathtaking as the waves thrash on to the rocks. At one end of the cliff lies the Meenkunnu beach which has an access through a narrow trail that goes down. The view of the isolated and endless Meenkunnu beach from the cliff is an absolute stunner. Though a long one, Meenkunnu also has an access from the main road that goes all the way back through the coconut groves. To the south of Kannur town are the beautiful beach stretches of Ezhara, Kizhunna and Thottada. These beaches see fewer foot prints and it is highly likely that it would be just you on these secluded sands apart from hustling crabs, a few birds and probably a lone fisherman. The swaying coconut trees and the endless curves of golden sands here are an absolute delight for landscape photographers. The toddy drinking and fish eating Muthappan (a form of Shiva) is definitely the most revered deity across Kannur. Believed to be a unified incarnation of Vishnu and Shiva as per the legend, Muthappan was the child of a Brahmin couple who swayed away from the norms, lived in the jungle and loved hunting, fishing and toddy tapping. Muthappan is the principal deity at Parassinikadavu temple, located by the serene Valapattanam River and the shrine is called madapura. Muthappan theyyam is performed here every day early in the morning as an offering to the deity. This theyyam which is held throughout the year has Thiruvappana (form of Vishnu) and Muthappan (also called Vellattom, is a form of Shiva) performing together, and offerings include toddy, fried fish, boiled grams etc. Enacted by the Vannan community, the performance begins before sunrise and goes on for three hours. The impressive snake park nearby has a huge variety of reptiles. Sri Rajarajeshwari temple at Thaliparamba is one of the sacred 108 Shiva temples in the country. This is an ancient temple and was built by the Kolathiri kings in the 11th century. Despite being dilapidated, the entrance portal is quite an attraction with wonderful carvings and sculptures. As per customs, women are allowed inside the inner sanctum only after 8 PM. Trichambaram Sree Krishna temple at Taliparamaba is another important temple in Kannur. Dedicated to Krishna, the temple has wonderdul mural art in its inner sanctum. The Durga shrine in a small pond is another attraction here. Enroute Koothuparamba is the popular Subramanya temple at Peralassery. Here Subramanya is worshipped in the form of a snake. The temple pond is a beautiful one with numerous steps. 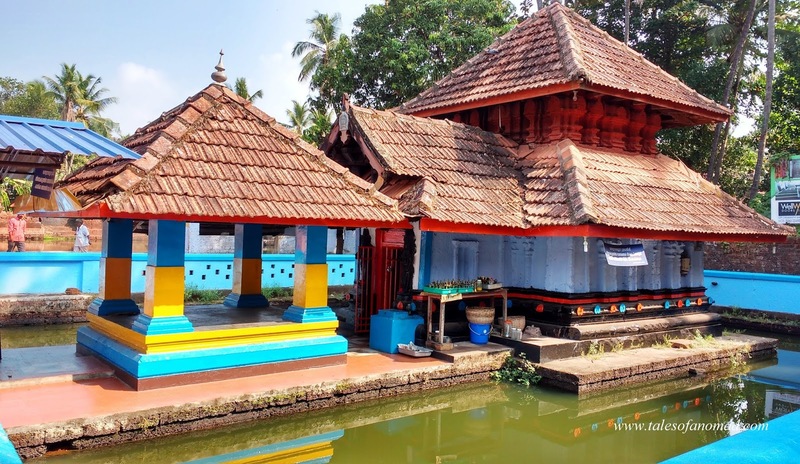 Kottiyoor Shiva temple and Thodeekalam temple are the other two popular temples in Kannur. The two tiered Thodeekalam temple has exquisite mural paintings and sculptures on its exterior. Theyyam, a corrupted translation of Daivam (God in Malayalam), is a ritualistic form of worship performed across northern Malabar region, especially in Kannur. Thira is another ritual art form which is quite similar to Theyyam. From December to April every year, the sacred groves (known as kaavs) turn into playgrounds for Theyyam and Thira performers as they deck up with facial paintings and attires to dance to the music while transforming into a god. It is believed that the artists metamorphose into a specific deity to ward off the evil and blesses the devotees. Mostly held from evening to next day early morning, these ancient rituals are performed only by certain communities such as Peruvannans, Malayans, Pulayans etc. There are more than 400 types of Theyyams and Thiras. The deity and the attire are different for each one of them. Some of the popular ones are Kathivanoor Veeran Theyyam, Muchilottu Bhagavathi Theyyam, Gulikan Theyyam, Bali Theyyam, Theechamundi Theyyam, Muthappan Theyyam, Kuttichanthan Thira etc. Theyyam is probably the most colourful and vigourous form of ritual in Kerala. Malabar has always been known for its delicious meat delicacies like biriyani and a variety of sea food. Kannur is definitely an ideal place to relish a variety of local dishes such as Kinnathappam, erachipathiri, unnakkaya etc., which are easily available at most small tea stalls and bakeries. Sheen bakery opposite to the railway station is a renowned one and has been there for many years. 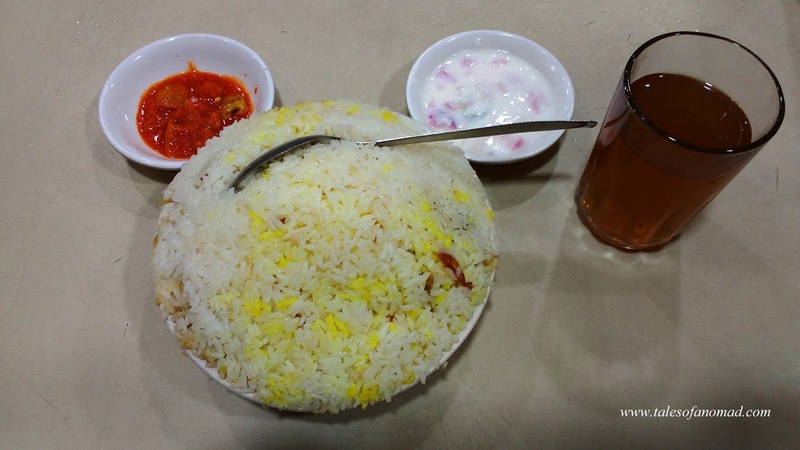 SM Road nearby has numerous restaurants such as Cool land, Kaipunyam and MVK, all them serve delicious biriyani and sulaimani. 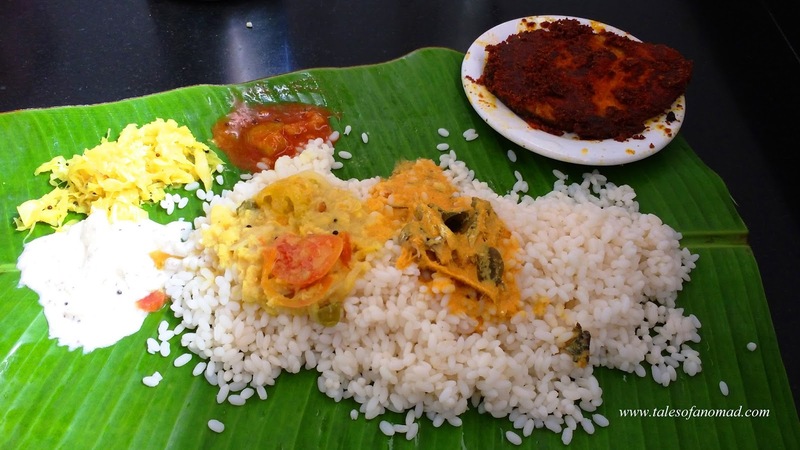 However, if you are keen on having a Kerala sadhya on a plantain leaf, head to Odhen’s, which is also known for its sea food. There is more to Kannur than just the Theyyam performances. Its beaches are breathtakingly beautiful, temples have nice art works and its delicacies are mouthwatering. Kannur is definitely a must visit for the discerning travellers who would like to explore beyond the 'beaten to death' destinations of Kerala. There are many more unexplored beaches than the ones I have mentioned. Isn’t that a reason to bring out the traveler in you? Thalassery and Mahe, which lies to the south of the town are other attractions in Kannur. While you can enter Parassinikadavu Muthappan temple wearing trousers, most of the other temples require men to wear mundu (dhoti) to enter the inner sanctum. Photography isn’t allowed inside most temples. Please check before you click. There are numerous buses connecting Kannur to other major towns across north Kerala. Nearest rail head is in Kannur and the closest airport is at Kozhikode (116 Kms). Most of the small tea stalls offer snacks which are which are unique to Kannur. There are many restaurants near the railway station and on SM Road. Kannur has numerous budget and mid range hotels and a few beach resorts. I stayed at SS Residency (2 Kms from Payyambalam beach), which is a budget hotel with all the facilities and a very helpful staff. Definitely recommended for budget travellers. Very exhaustive travel info for Kannur. I wanted to watch a live performance of Theyyam.... Pictures are awesome. Glad you liked it. Head to Kannur next time you are in Mangalore. Kannur was also home to Arakkal rulers, the only muslim ruling family in Kerala who even controlled Minicoy, an island in Lakshadweep. They had a matrilineal dynasty and were always headed by the senior most member irrespective of the gender. The male rulers were known as Ali Raja and female rulers were known as Arakkal Beebi. Interesting history with grand pictures !! I had been to Kannur so many times, but I have not yet seen all these places. Kannur definitely has lots to offer. I don't know where to start. I love the Theyyam images. And I'm impressed by the folklore museum. Those exhibits!! You seem to have seen and experienced so much in Kannur. Grrrreat job! And thank you so so much for the travel story and the pictures. Such a pleasure. Btw, prayer flags ano on your beast? Glad you liked it, Nambiare. Thank you so much. Love the article. All about Kannur can find here. Enjoy your visit. Love Kannur's beaches, Thalassery's charm and Theyyam.